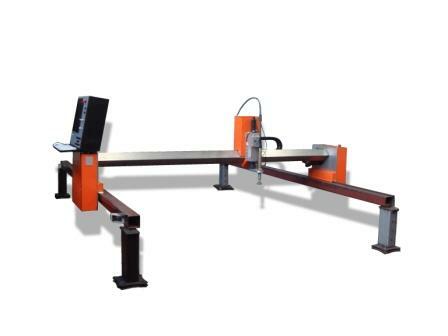 Gantry machines thermal cutting CNC series "Korsaras" made for plasma and oxygen mechanized cutting of sheet metal width of 1,5, 2,0, 2,5 meters. The length of processed sheet is determined by the length of the track and can be from 3 to 12 meters. 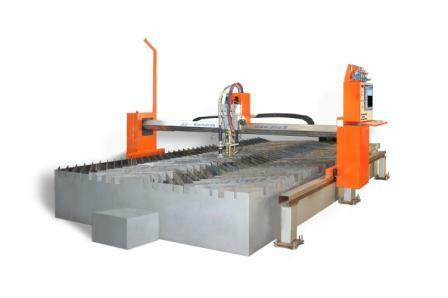 Gantry machines thermal cutting CNC series "Kortik" made for plasma mechanized cutting of sheet metal width of 1,5, 2,0, 2,5 meters. The length of processed sheet is determined by the length of the track and can be from 3 to 12 meters. Web site and all contents © Copyright IĮ "Alvė" 2009, All rights reserved.